This adjustable Gold Plated Adjustable Bracelet measures 8 to 9.5 Inches. 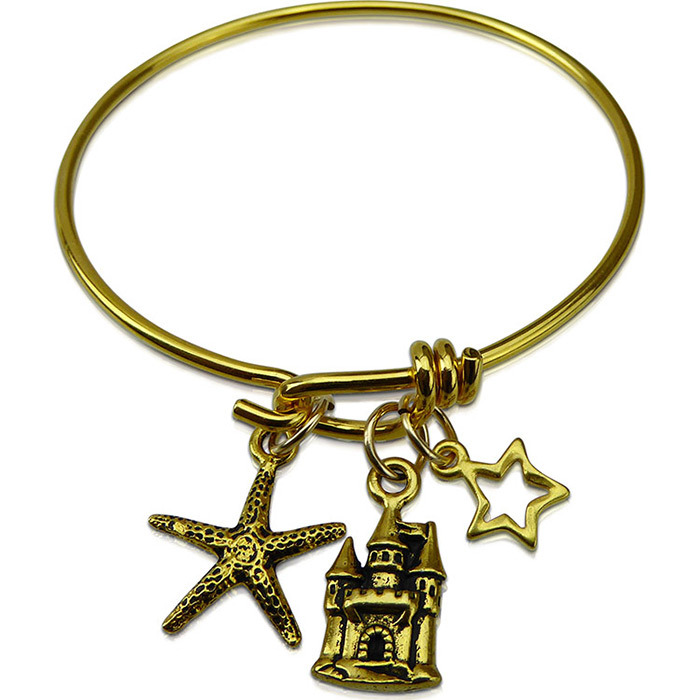 Our charms reflect the magic of the Sea with a Starfish, a Castle and a Star. Add other charms as you like.